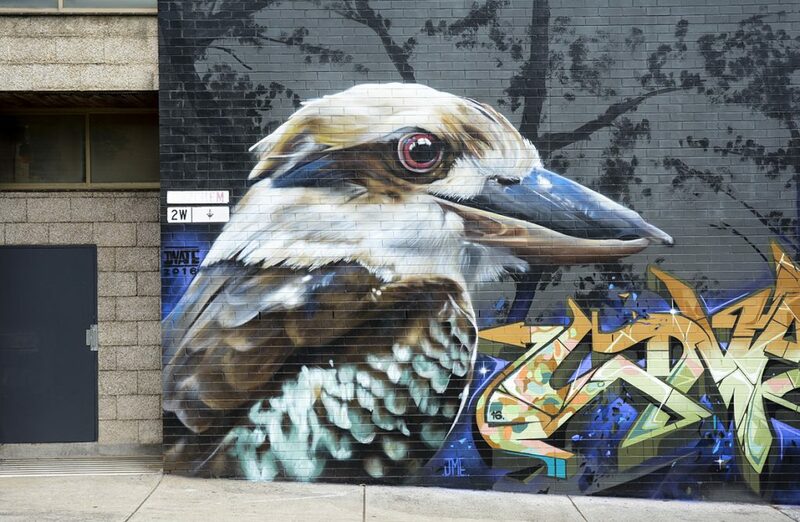 Many years ago I was co-opted onto the then Mayor of Hawthorn’s ‘Graffiti Working Group’ which, as I discovered at the time, was mainly concerned with catching kids in the act, cleaning up walls and keeping as far ahead of the ‘vandals’ as possible. How things change! 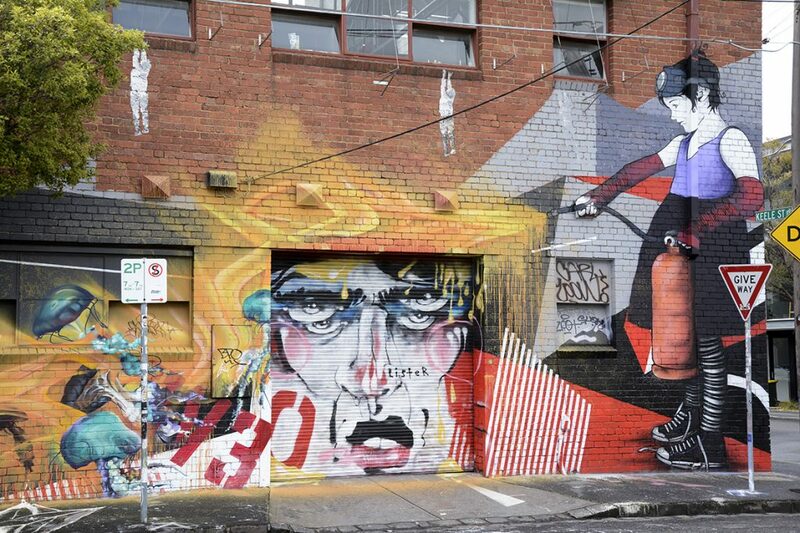 Since then Melbourne has learned to embrace its vibrant street culture within which street art is prominent. 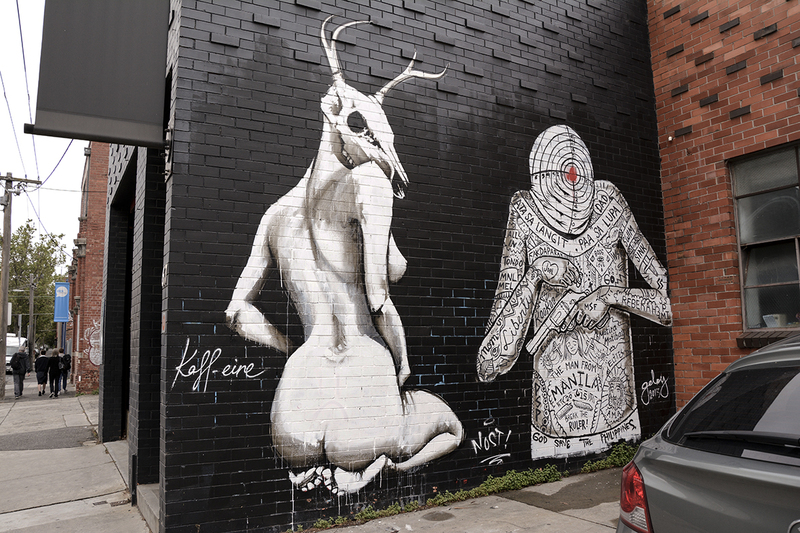 It’s no exaggeration to say that some of the best examples of this emergent form can be found in Melbourne. 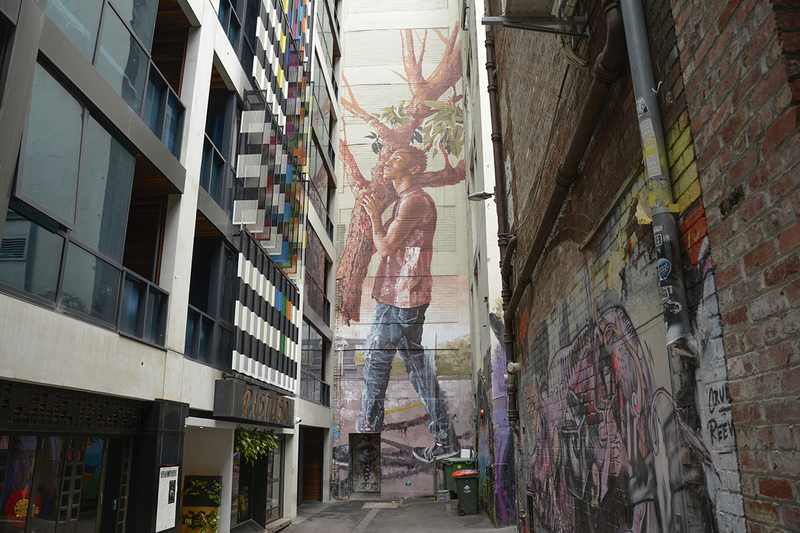 Increasing numbers of tourists and others attracted to the street scene are now found not only at Hosier Lane but also in many other places. There’s a lot to see if you know where to look. There was much of interest to take in on a previous visit in 2014 but a later trip in late 2016 showed how rapidly the scene changes. Many outstanding works of the recent past have been buried under layers of new paint and now exist only in a kind of limbo or half-life as images in private collections or on the Internet. Equally, many new works now occupy prominent sites where nothing remotely like them had ever been before. 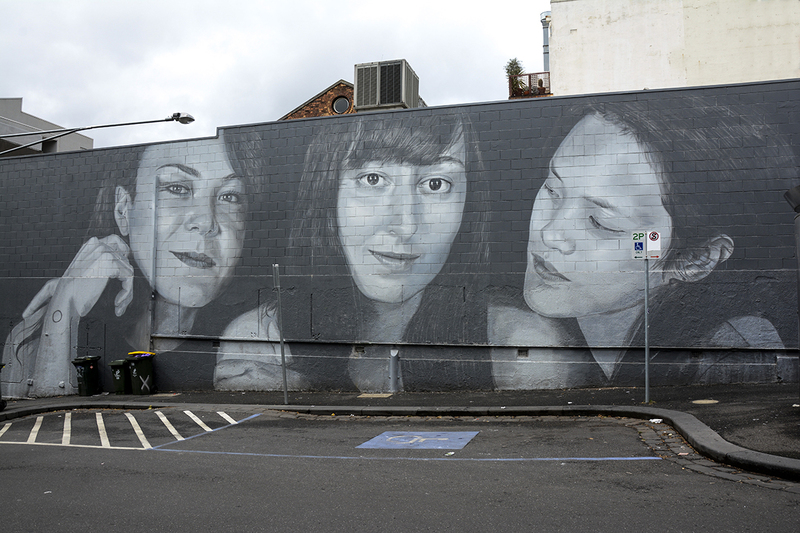 Some densely-used lanes have been built out and no longer exist as venues for painting; new corners are constantly being found, many of them legal. Watching this process take place over time is fascinating because no one is in charge and change is the only constant. 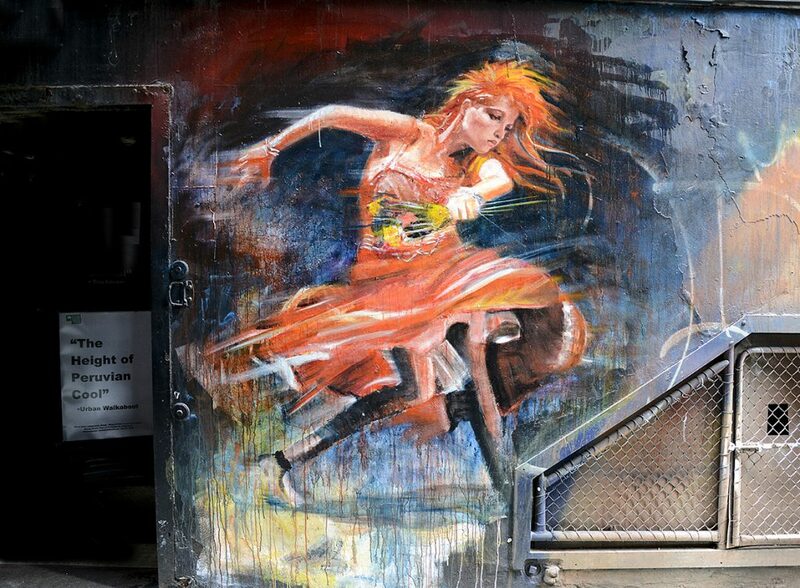 The art exists in a complex dance with the ever-changing city itself. Everyone benefits as dark and dowdy places start to shine. 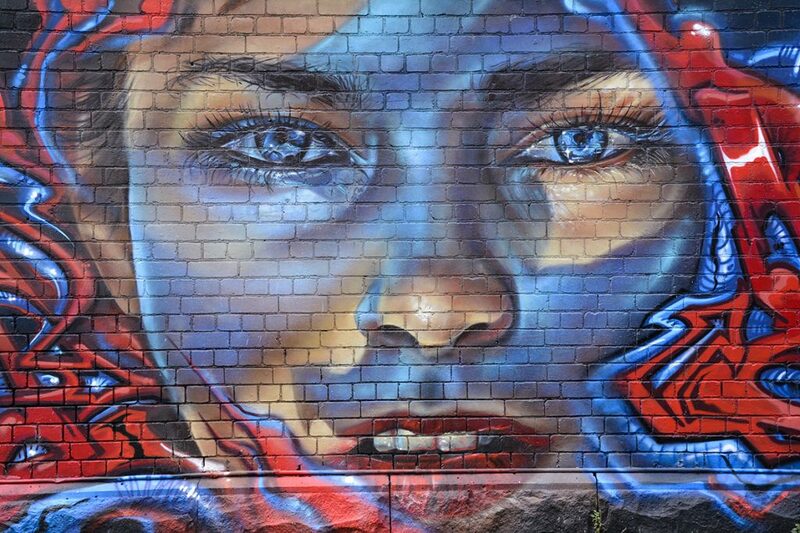 By late 2016 new works by prominent artists such as Smug, Adnate, Rone, McGee, Kaff-ein, Lushsux and others had appeared, all of them so different, many of them world class. 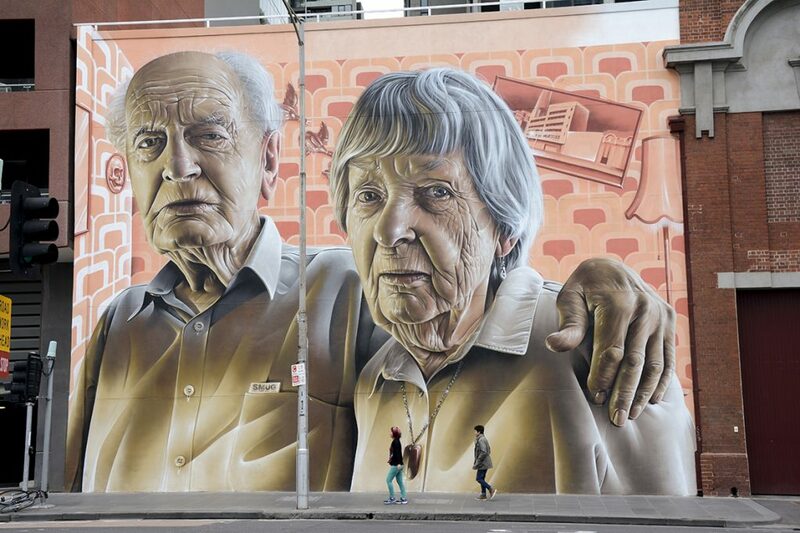 For example a striking 3-storey image by Smug of his grandparents projects from and enlivens the wall of an old powerhouse building at the junction of Lonsdale and Spencer Streets. 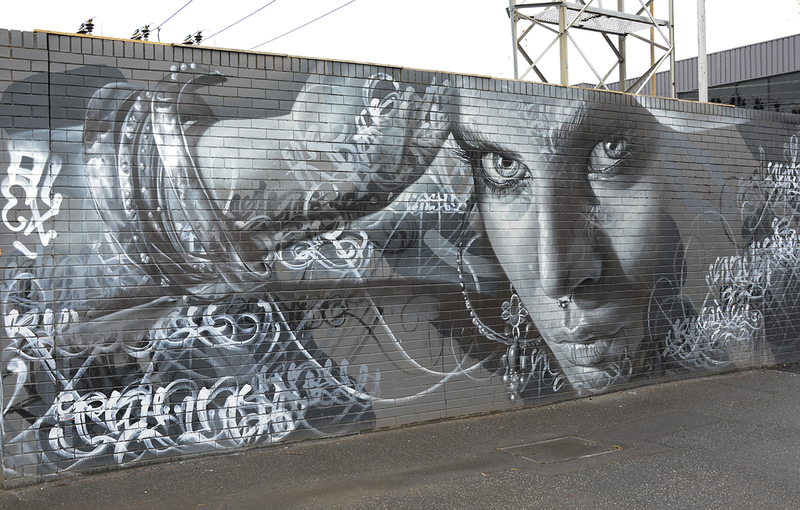 Adnate, Rone and others were asked by Collingwood City Council to paint the walls of a substation that had been repeatedly ‘bombed’, with magnificent results. 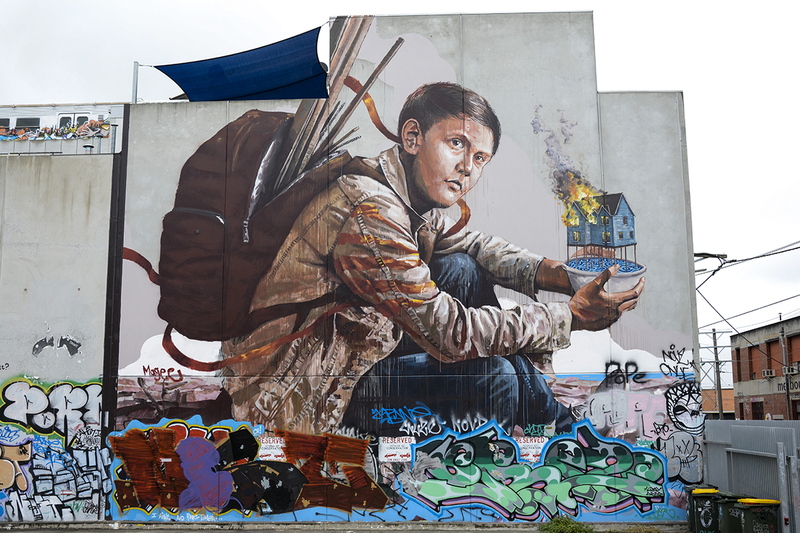 McGee’s crouching boy holding a burning house stands nearby and is equally compelling. My favourite is a stark figure by Kaff-eine on the wall of a gallery in Cambridge Street (thanks to the owner for moving a car so I could photograph it without distortion). A sample of images is reproduced here in the hope that more people will take a few minutes out sometime to look them up themselves. The city never sleeps. 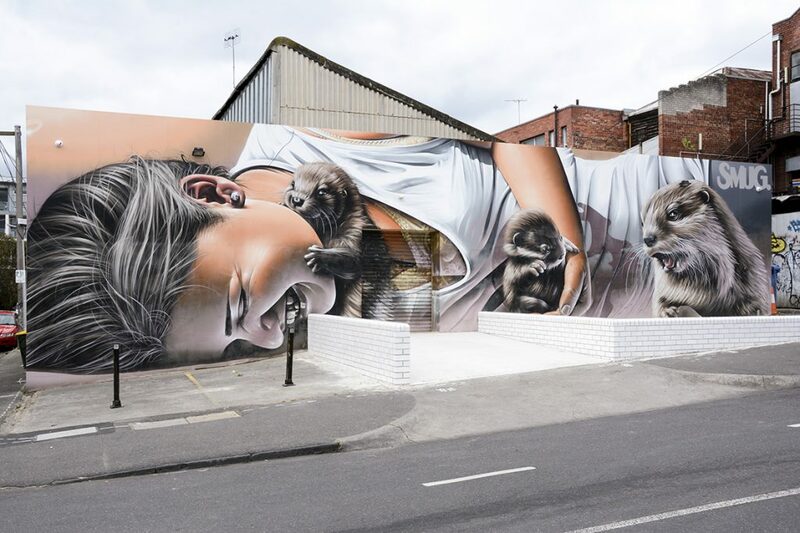 Nor, it seems, does street art.